A nutritional analysis of cannibalism and treating kidney stones on roller-coasters were research projects honored by tongue-in-cheek awards at Harvard University Thursday, designed to make you laugh first, and think later. 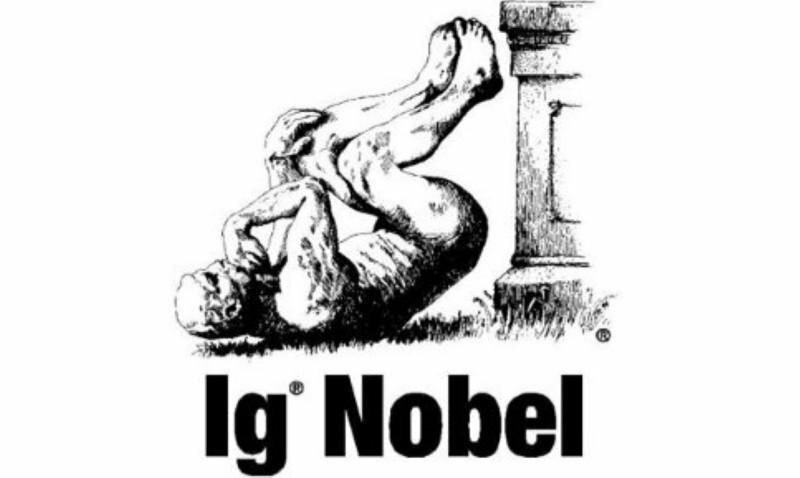 The Ig Nobel Prizes, or so-called “anti-Nobels,” are organized by the satirical scientific journal “Annals of Improbable Research” and honor the same 10 categories as the real Nobels, the most prestigious awards in the world. This year, the Ig Nobel Prize for Medicine went to two American researchers for a study published in October 2016 on the effects of using roller coaster rides to try and hasten the passage of kidney stones, according to the organizers’ press release. A paper on chimpanzees imitating humans about as often, and about as well as vice versa conducted by researchers from seven European countries and Indonesia won the prize for anthropology at the 28th annual ceremony. The prize for biology went to those who demonstrated that wine experts can identify, by smell, the presence of a single fly in a glass of wine—a joint effort by academics in Colombia, Germany, France, Sweden and Switzerland. The peace prize was won by those who measured the frequency, motivation and effects of shouting and cursing while driving an automobile.